AIGRIND has announced a new update to its popular Warspear Online MMORPG that’s available on Windows Phone, Windows Mobile, and Windows desktop. Version 4.5 brings a number of new changes, but the main change is the arrival of a new set of expert skills. Each of the 12 playable classes now have five expert skills to choose from, allowing the player to utilize a wide variety of tactics in PvP and PvE-battles. If you’re a player with a minimum level of 18, you can choose and develop the skills most suitable to your personal preferences and gaming style. You can also alter your character appearance to differentiate yourself from other Warspear Online players. In addition, there have been some changes to existing skills, so that the differences between two alliances achieves a greater balance. Big changes are in store for long-time players of the game as well. Warspear Online now features the highly anticipated ability to browse other players’ equipment and compare. With this functionality, it has become easier to search for new members of the Guild and allies for groups. In addition, legendary raid boss Avenger (shown below) has made a triumphant return to the game; beating him can grant players valuable game items and a unique decorative costume. Back in October, Warspear held a Median Night Holiday, which is one of the main festivals in Warspear Online. During a Median Night Holiday, players gain access to the holiday island. It appears once a year and provides players with the opportunity to take part in festive quests and earn valuable game items, items that can dramatically change their fortunes. 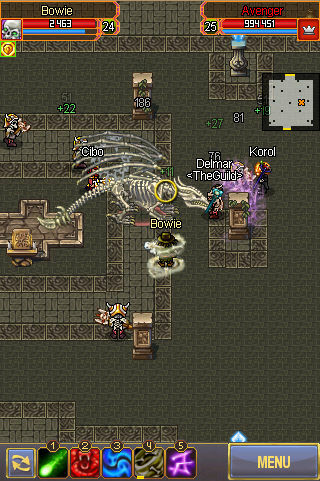 For those who’ve never played it before, Warspear Online is a free-to-play classic fantasy MMORPG for mobile and desktop devices in which more than five Million players from all over the world have chosen to participate. 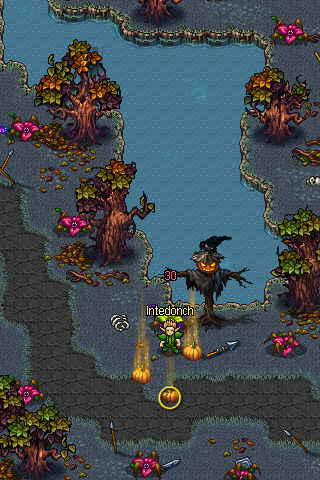 The Best Apps Ever Awards bestowed it the best MMO game accolade. Players can select from 4 races and 12 classes, participate in over 1000 storylines and hundreds of daily quests. There are battles with other players, craft system, instances, guilds and game chat where you can make new friends. Warspear Online can be played on most major platforms, mobile or otherwise. Download Warspear Online for free using the QR code above if you’re on Windows Phone. If you’re using Windows Mobile, Windows desktop, or other platforms, visit this page to download.